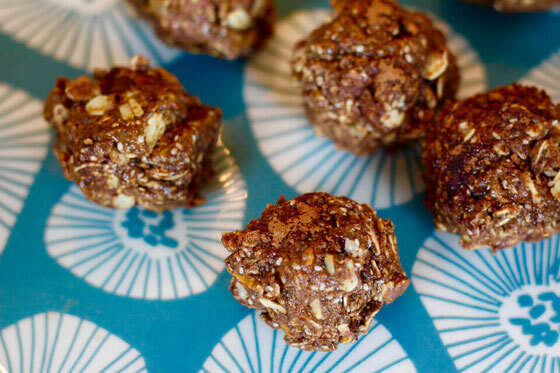 These energy balls are perfect for breakfast or a snack. The energy bites offer plenty of protein, fiber, and healthy fat to keep you fuller for longer. Plus, they're totally delish! I love snack foods almost more than meals. 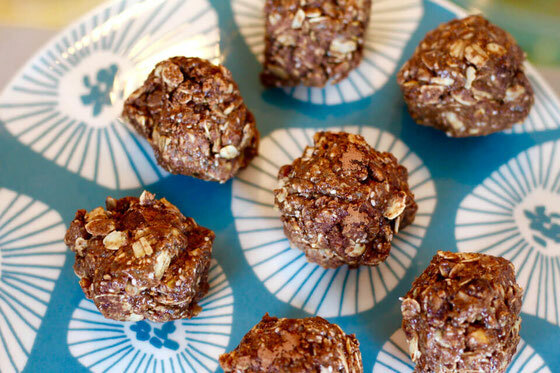 So I often look for ways to incorporate said snacks into meals—which is how I got to thinking up these delicious Almond Pistachio Cocoa Bites! 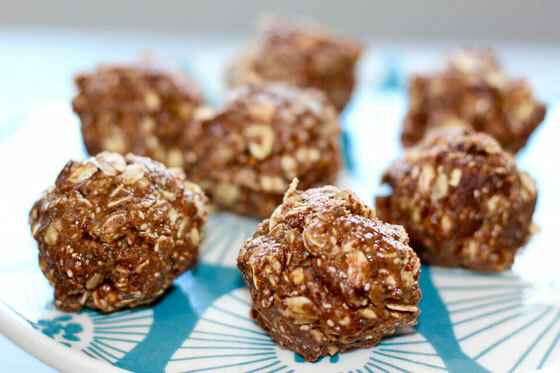 This energy ball recipe is so easy to make. I can pair a couple with a banana or peach for breakfast or have one for a snack. 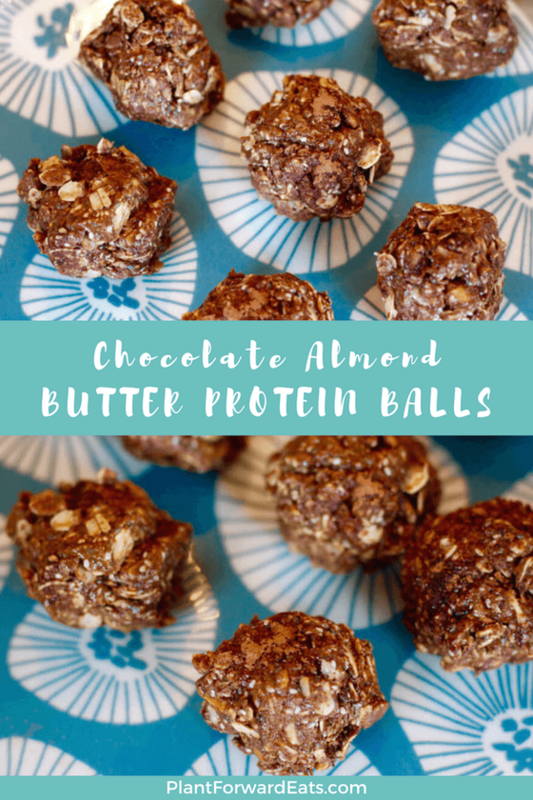 For just 180 calories, each bite offers 6 grams protein, as well as 5 grams fiber due to the almond butter, pistachios, and chia seeds. Each bite contains 13 grams fat, but almost all of that is the heart-healthy poly- and monounsaturated varieties. You'll see that the directions call for letting these harden in the fridge or freezer, atop parchment paper in an air-tight container. I personally like them a little frozen (they don't get completely hard, just firmer), but I'll leave that choice up to you! Want more ideas for cooking with almonds? Give my Almond Raspberry Banana Baked Rice and my Mango Banana Almond Overnight Oats a try. In a medium bowl, mix oats, almond butter, chia seeds, 1 Tbsp cocoa powder, pistachios, and vanilla extract with a spoon until well combined. Roll into balls with hands, then place on parchment paper in an air-tight container. Dust with remaining cocoa powder. Refrigerate or freeze for a few hours or overnight. Serves 14. What are your thoughts on this topic? What's your favorite easy breakfast or snack? Leave your comments here!